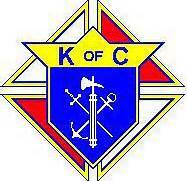 The Knights of Columbus is an organization deeply rooted in the Catholic faith that is based on Charity, Unity, Fraternity & Patriotism with many great benefits for both the member and all of his family. We are here to serve our parish, & the greater faith community. Contact Walt Keller @859-327- 1283 or waltsone@insightbb.com or call Mike Binzer @224- 1297 or mikebinzer@insightbb.com.